When it comes to outdoor air quality, we have all sorts of assessments. In fact, we have an entire Air Quality Index (AQI) dedicated to measuring the health of the air around us. If there’s a Code Orange alert, air quality could become unhealthy for sensitive groups of people, including those who suffer from allergies, infants, and the elderly. On a Code Red day, everyone might experience health effects. While we have ways to measure our outdoor air, what about the air inside our homes? After all, we probably spend more time inside our residences than outside, especially during the summer heat. Consider these tips for improving the air quality within your home to avoid potentially damaging health consequences. Floor surfaces are by far the biggest contributors to household air quality. Not only do they collect dust mites and other allergens, but they also serve as a collection bin for chemicals from shoes, household cleaning products, and pesticides. Vacuum frequently, and mop hard surfaces to pick up the remaining dust and pollutant particles. You could also put large mats outside of each entry way to help absorb harmful debris that shoes would otherwise track into your home. The drier your home, the less likely you are to have dust mite and mold issues. This can be hard in a more humid Michigan climate, so this is where HVAC service and air quality control measures come into play. You want to keep your home’s humidity between 30 and 50 percent. Achieving this humidity level generally requires the help of a dehumidifier and air conditioner. At the very least, getting an air conditioning installed reduces indoor pollen count. If you suffer from allergies, having a dehumidifier and air conditioner should be non-negotiable. As much as you can, look for fragrance-free or natural laundry detergent, dish soap, and household cleaners. Otherwise, harsh chemicals take root in your home thanks to strong, petroleum-based cleaning products. When possible, it’s nice to air out your home and open your windows from time to time. Of course, this also means worrying about letting outdoor allergens into your home. Luckily, a filtered air conditioning unit can alleviate this worry, as it filters and purifies air before it releases it into your home. 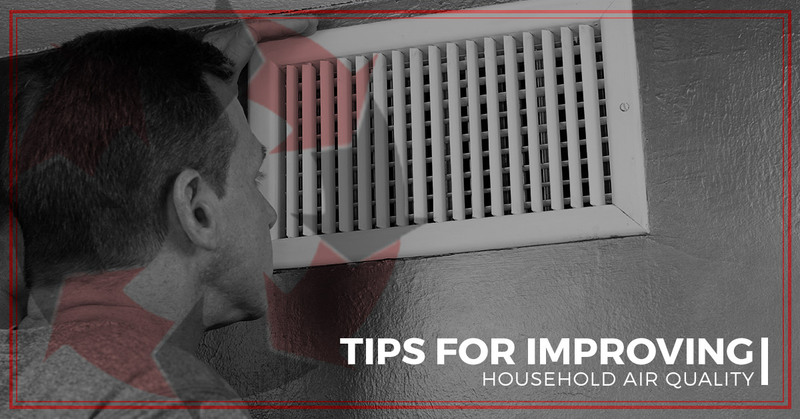 If you’re concerned about interior air quality, calling your local HVAC service is the best place to start. Not only can they assess your current air quality, but they can also install dehumidifiers and filter-based air conditioning units. For the leading HVAC service in Belleville and surrounding areas, contact Air Temperature Control Inc. today!